Dead Aid – No Thanks! 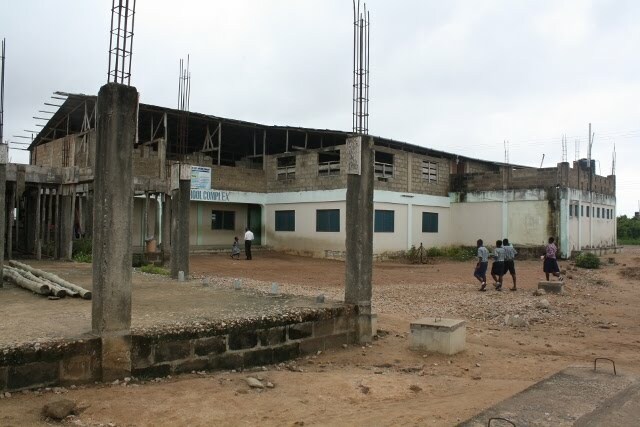 The schools infrastructure needs very basic improvements as parts of the buildings are still unfinished. The upper class rooms need to be rendered, the walls pulled up to the ceiling and windows and doors build in. The current situation is sufficient for learning, thanks to the warm climate. But the noise level of six classrooms being acoustically connected is immense and requires a high level of concentration from students and teachers alike. Also, the raining seasons with its heavy and enduring rain storms causes large parts of the rooms to be flooded, with tables, books and shelves exposed to water and wind. The class room's equipment is mostly lacking adequate blackboards and closets to store the students books and bags. Due to the floors being not rendered and thus dusty, students never put their bags on the ground and – lacking any other place to store them – sit with their bags right behind their back on the chair – which is neither comfortable nor healthy. A staff common room as well as additional class rooms are already in shell construction (see picture above), but need to be roofed, rendered and furnished. At the moment, the school's administration and management is installed in the computer laboratory. With school books and utensils also being stored and sold there, the place is hardly adequate as an office, crammed and constantly frequented by students. 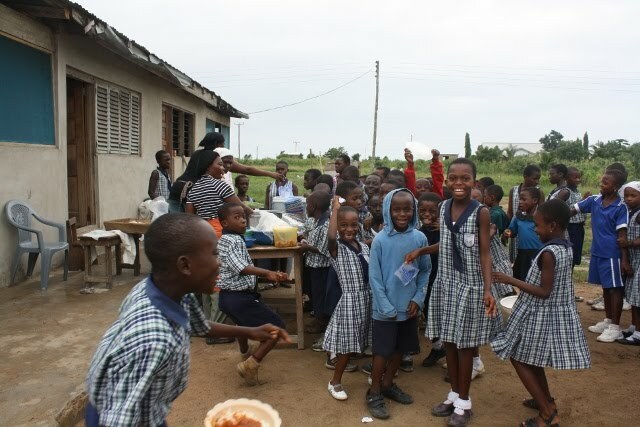 The school's kitchen is still insufficiently equipped.Consequently, the students often receive their food late, so that the lunch break eats into a big part of the lessons. Housed in a provisional building on the compound, the kitchen does not offer a place for students and staff to eat – which they mainly do on the compound or in the classrooms. For the future, Danadsy wishes to build a good kitchen and cafeteria and also to use part of the schools premises for a small garden to save on food expenses.